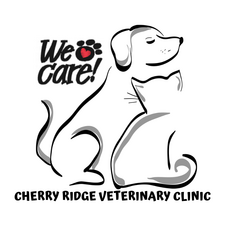 One of our goals here at The Cherry Ridge Veterinary Clinic has been to assemble a veterinary health care team committed to providing exceptional client service and pet care. Our team of veterinary technicians are all committed to CRVC’s mission statement to uphold high standards of patient care and client communication. Our technicians are responsible for assisting our doctors with diagnostics, treatments, and surgery. They also play a vital role in communicating and educating our clients about their pets. Our technicians are all cross trained to work in various areas of the clinic. They are trained to work one-on-one with the doctor during procedures requiring anesthesia. They are responsible for monitoring our patients through prep, procedure, and recovery. They are responsible for the comfort of your pet during their stay in the hospital. They perform follow up calls checking on our patients after a procedure, answering any questions and reporting any concerns to the doctors. Behind the scenes they perform blood draws, in house diagnostic labs, fluid therapy administration, IV catheter placement, and treatments. They work with the doctors in the exam rooms, they obtain medical history, perform requested diagnostics, restrain the patient, administer appropriate treatments, gather prescribed medications and record the doctor’s findings in the medical record. Clients can also schedule surgery appointments with them. Keeping our skills up to date is a critical process. Training is very important to CRVC. We have team meetings on a regular basis to discuss policy, protocol, new equipment, services and products and our technicians are required to complete 10 hours of continuing education yearly. 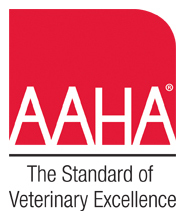 They have the opportunity to attend veterinary continuing education seminars, where the latest techniques and skills are taught. Our team is continuously educated through continuing education lectures and in clinic meetings. This is to provide our clients and patients with the best health and long life. They are an indispensable asset to our team and take pride in their essential role at CRVC. Ashley is originally from Newburgh, NY. She joined the CRVC team in June of 2016. She graduated from Morrisville State College in 2013 with a Bachelors degree in Equine Science and Business Management. After graduation she worked as a large animal and small animal technician gaining experience in prevention care, emergency care, dentistry, surgery and customer service. She currently has three rescued fur babies; Bentley a great Dane mix, Foxy a Border terrier mix and Agnes a Persian. On her free time she enjoys spending time with her family and cooking. Becky has been working at CRVC since November 2016. She is currently finishing up Veterinary Technology School. Becky has volunteered with local rescues for the past 10 years. Chloë graduated from Johnson College with an Associates degree in Veterinary Technology in 2016. She started working at Cherry Ridge Veterinary Clinic in June 2016 and received her certification in July of 2016. Emily joined the CRVC team in March of 2015. She recently graduated Johnson College with an associate’s degree in science majoring in veterinary technology. She lives on a dairy farm where she spends most of her free time. Gina is currently in her second year at Johnson College for Veterinary Technology. She is a graduate of Wallenpaupack High School. After high school she moved to North Carolina and started working for a veterinarian and knew quickly that their was no going back for her, she knew exactly what she wanted to do. She enjoys every second in the clinic and is excited about furthering her education in the veterinary field. Jocelyn, a Licensed Veterinary Technician, graduated from Johnson College in 2013 with an Associate of Science degree in Veterinary Technology. After graduation Jocelyn worked at the Northeast Veterinary Referral Hospital gaining experience in emergency care. She then joined our team in November 2013. Jocelyn is an amazing asset to us, and to our patients. She has a genuine compassion for animals, and truly gives all of herself to our clients and patients. Her skill level and cross training keep her in high demand. Her professional interests include: dentistry and emergency care. Jocelyn lives with her husband, one dog named Diesel and two cats Melvin and Mabel. Outside of work Jocelyn enjoys being outdoors, kayaking, and hiking. Jonathan graduated from Pennsylvania State University in 2017 with a Baccalaureate degree in Veterinary and Biomedical Sciences, as well as a minor in Microbiology. He has recently been enrolled in Cornell University's Masters in Parasitology program, ultimately preparing himself for veterinary school afterwards. Jonathan was born and raised in Honesdale, graduating from Honesdale High School. He was an active member in 4-H raising market swine and goats and is currently an active member in the Honesdale Area Jaycees. During his free time he loves to golf, hike, fish and play hockey. Lindsay was born in Ridgewood New Jersey and currently lives in Lakeville Pennsylvania. She graduated from Johnson College of Technology in 2015, and joined the Cherry Ridge Veterinary Clinic team in May 2015. Morgan has been working at CRVC since December 2011. She lives at home with an array of pets including 4 ducks, 2 working dogs, and a herd of cats. Morgan graduated from the State University of New York College of Technology at Delhi in 2010 and was going to pursue working with farm animals but didn't due to decreased need for technicians in that area of veterinary medicine. Renee graduated from Johnson College with an Associate of Science degree in Veterinary Medicine in 2011. She joined our team at the Cherry Ridge Veterinary Clinic after completing her externship at our facility for college in July 2011. Robin graduated from Johnson College in May 1999 with an Associate of Science degree in Veterinary Technology. She has been with the Cherry Ridge Veterinary Clinic since the summer of 2009. Robin lives in Equinunk and has two children, Colby and Tedra that share the same amount of love and compassion for animals just as much as she does.